We've added a brand new sticker to our Brigade Resources page! 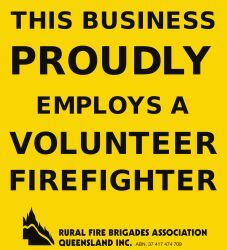 With the 2018 Brigade Volunteer Survey identifying 43% of volunteers as an employee / wage earner and a further 23% as self-employed, there should be plenty of welcoming doors and windows out there for these new stickers! First Officers and Secretaries place your orders today (and don't forget all the other items available!). Check out Zoe's video below for more!